The only other U.N. observer state is the Holy See, which represents Vatican City. Many other countries have been observer states in the past, but all of them have since been accepted into the U.N. as full members (the last to join were Switzerland in 2002 and North and South Korea in 1991). While yesterday's events may help settle Palestine's legal status, the situation on the ground is more complicated, with most of the country's claimed territory under the control of Israel. The recognized Palestinian government also does not currently administer the Gaza Strip, one of the Palestinian Territories, which is instead controlled by right-wing opposition party Hamas. But despite their differences, the leadership of Hamas supported the campaign for statehood at the U.N.
What will change with Palestine's new status? Since the change is to Palestine's political status, the effects will be mostly in the domain of politics. Its actual role within the U.N. General Assembly will change little, because observers' privileges are mostly assigned on a case-by-case basis anyway. But now other U.N. agencies are more likely to consider Palestine for membership. It already successfully joined UNESCO last year, but was rejected from the U.N.-connected International Criminal Court (ICC) on the basis that members need to be states. Possible Palestinian membership in the ICC has received a lot of political attention, because it would allow Palestine to pursue war crimes charges against the Israeli government. The current Israeli administration of Prime Minister Benjamin Netanhyahu, supported by the U.S., insists that the statehood bid violated the terms of the Oslo Accords by bypassing the existing peace process between Israel and the Palestinians. And in the weeks leading up to the vote, Netanyahu had threatened to punish the PLO for seeking statehood, possibly by withholding money from taxes that Israel collects on the Palestinian government's behalf. But his government seemed to back down as the campaign came to an end, downplaying the results of the vote and saying they wouldn't retaliate unless Palestine tries to take them to court in the ICC. Some Israelis, such as the previous prime minister, Ehud Olmert, actually supported the statehood bid. 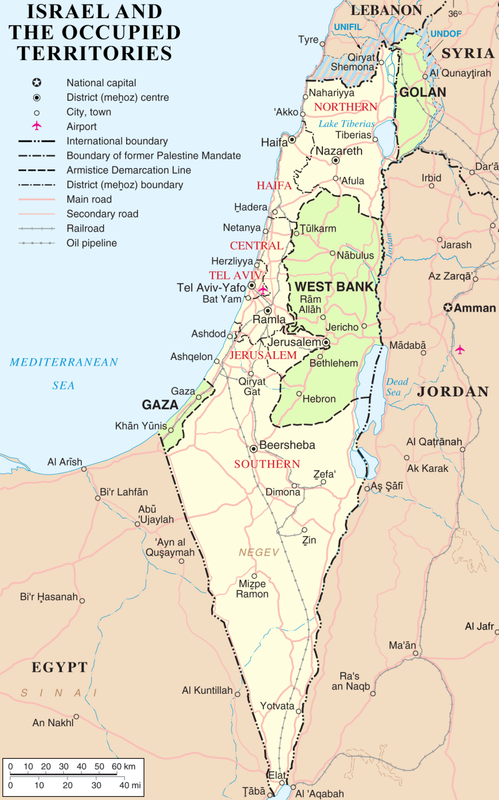 Another area to watch will be Palestine's treatment by geographers: since the most common definition of "independent country" in maps and other publications is "member or observer state of the U.N.", Palestine may begin showing up on more maps and lists of countries from now on. Although it's already shown on many maps, it's usually indicated as special-case disputed territory rather than a country. Alternatively, if Palestine's nationhood proves too controversial, we could possibly see some change in how independent countries are defined in maps and books. In the U.S., some may choose to follow the lead of the American government, which currently recognizes all U.N. members and observers except Palestine.